Traditional French Costume from the Val d’Aran, Pyrenees. Costumes Nationaux by Lepage Medvey, Editions Hyperion, 1939. 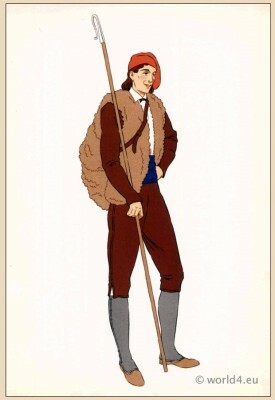 This entry was posted in 20th Century, France, Traditional and tagged French national costumes on 7/1/13 by world4.